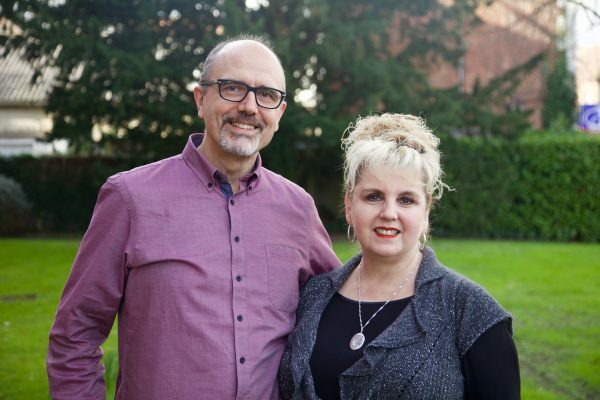 John and Sue have been living and working in France with BMS World Mission since 1988. John trained for the ministry in Britain and was a member of the pastoral team of his home church in Leeds before being called to the pastorate of Falmouth Baptist Church in Cornwall. After Bible school, Sue trained with Agapé (Campus Crusade for Christ) in Leeds and then helped set up their school's ministry in Brighton. Sue and John married at Chatsworth Baptist Church in London in 1985. They now have four children Jessica, Robina, Tommy and Bonnie. Having responded to God's call to 'go' John and Sue went to France as part of the mission partnership between British and French Baptists. After learning French at Massy language school, they moved to the outskirts of Lyons where they were involved in a church planting project in Bron. In August 1993 they moved to Morsang-sur-Orge on the south side of Paris, where they were again involved in helping a church to grow. After time in the UK from 1999-2000 they returned to France in August 2000 to work in Lyons. John and Sue have seen Lyons Baptist Church grow and develop. Not only has the church building been completely redeveloped, but the life of the church has been transformed. 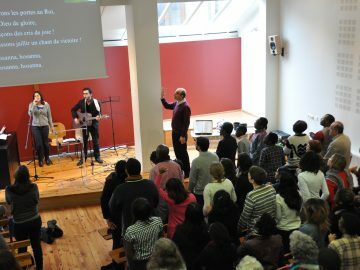 The church has started a second congregation and is looking at further possibilities of growth through church planting. The church continues to play a key role in the life of the city and maintains a ministry to the poor. More recently John and Sue moved to Paris to continue their work there. The family enjoys time together, either reading, watching films, cycling, swimming, skiing, playing sport or listening to music. John and Sue Wilson will be on home assignment in the UK from Sunday 21 July to Saturday 10 August 2019. If you wish to visit a church where they will be speaking, then please refer to the schedule below. Learn how to keep your church members engaged.